8 pm at Pereira’s house. 541-753-9224 or cherep@comcast.net to reserve a seat and get directions. $14 CFS members, $16 nonmembersChuck Pyle has won high praise from both fans and peers alike throughout an inspired performance career of over 40 years. When reviewers first gave him the “Zen Cowboy” moniker, he decided to, as he says, “Always ride the horse in the direction it’s going,” and took the nickname to heart, shaving his head and blending his upbeat perspective with old-fashioned horse sense. He mixes infectiously hummable melodies with straight-from-the-saddle poetry, quoting bumper stickers, proverbs, world leaders and old cowboys. An accomplished songwriter, Chuck’s songs have been recorded by John Denver, The Nitty Gritty Dirt Band and Suzy Bogguss. Country fans know him best for writing, “Cadillac Cowboy”, recorded by the late Chris LeDoux, and “Jaded Lover”, recorded by Jerry Jeff Walker. While fans love his recordings, they adore Chuck’s live performance. The first time he made an audience laugh, he was “hooked”. A nimble guitarist, critics say his sense of rhythm is more like a fine classical, or jazz, soloist, his songwriting musically sophisticated yet full of uncluttered space. The Chuck Pyle Finger-Style approach to guitar has distinguished him as a true original, earning him invitations to teach at such prestigious events as The Puget Sound Guitar Workshop and The Swannanoa Gathering. His music has made him a favorite of Bill & Melinda Gates who have had him play at their home in Seattle. Since writing the theme-song for a PBS series called Spirit of Colorado, he’s attained local fame, and even sings for the opening session of the Colorado State Legislature. Chuck Pyle came from Iowa in 1965 when, “Boulder was mostly gravel streets”, and resides on the front range of Colorado. He does 100 dates a year all across the country, playing festivals and theaters, coffeehouses and house concerts. His 11th CD, THE SPACES IN BETWEEN is twelve all-new songs, each with finger-style guitar out front of a crackerjack rhythm section. The embellishments are elegant, with everything from fiddle to uilleann pipes, grand piano to ukulele; each song’s a hummable melody guaranteed to make you tap your inner feet. In the middle of the night, Chuck began writing down the words to the CD’s opening song, called Dream Song, and the more awake he became, the better it sounded. Picking Out My Outfit is about Man’s need to look casual, Copper John is about the favorite nymph of fly-fisherman and Wide Open is about Wyoming’s bigness. The rest of the songs are classic Chuck Pyle truth-telling; one man’s outlook seen from a life-in-motion as he continues to gather traction and gravity. 7:30 pm, Diane Arney’s home. “Beautiful… Exuberant and lyrical sound… an album so full of melodic warmth that it can barely be contained… melodically compelling, cinematically shifting compositions that have an epic dimension…. one of the most perfect acoustic albums I’ve heard in a while… a career defining album”. Born in Ennis, County Clare, along Ireland’s music-rich west coast, Gerry O’Beirne is a renowned singer, songwriter, and multi-instrumentalist (6 and 12 string guitar, tiple, and ukulele, slide guitar among others). He grew up in Ireland and in Ghana in West Africa, and has since lived in England, California, and Mexico. His own compositions blend the passion found in traditional music with the freshness of contemporary song. Gerry’s first solo album, Half Moon Bay, featured his own songs and instrumental compositions. Half Moon Bay was cited as one of the 12 best releases of the year by Performing Songwriter magazine and was chosen as one of Folkworld’s Top Ten Albums of the year. He has just released his second album The Bog Bodies And Other Stories: Music For Guitar, which was named CD of the Month on the radio showEchoes, and one of the essential albums of the year on the same show and which was featured recently on the Irish TV show Nationwide. Many of his songs have been embraced by the contemporary folk community. Maura O’Connell recorded Half Moon Bay, Western Highway,Shades of Gloria, and The Isle of Malachy. Mary Black recorded The Holy Ground as a title track. Cathie Ryan recorded Shades of Gloriaand The Lights of San Francisco. Muireann Nic Amhloaibh has recorded Western Highway and The Isle Of Malachy on her album daybreak: fainne an lae. Gerry has appeared on Garrison Keillor’s A Prairie Home Companion. His performance of Western Highway was chosen as an audio highlight on A Prairie Home Companion’s website. As a producer, he has a large number of albums to his credit, including Promenade by Kevin Burke and Michael O’Dhomhnaill (winner of the Grand Prix Du Disque at Montreux), Irish Times by Patrick Street, Man in the Moon and Donegal Rain by Andy M. Stewart, First Foooting by Anam, The Connaughtman’s Rambles by Martin O’Conner, Up Close by Kevin Burke, Lifting the Veil and Sacred Space by Fiona Joyce, To Anyone At All by Clandestine, Fine Small Storm by Jen Hamel, The Willow by E. J. Jones, Silver Hook Tango by Australian singer-songwriter Kavisha Mazella, When Two Lovers Meet and I won’t go home ’til morning by Sarah McQuiad and Lumina by Irish piper, low whistle player, and composer Eoin Duignan, which was hailed “a stunning achievement” by Hot Press, Ireland’s foremost music magazine. Gerry has toured in Europe, Australia, New Zealand and the USA, performed solo at the Kennedy Center in Washington DC, and has taught musical composition from visual art at Swananoa Music Camp. He recently played on the new Lunasa album and has just released a new CD with fiddler Rosie Shipley which features new songs as well as poems by Patrick Kavanagh and Nuala Ní Dhomhnaill which he has set to music. 7:00 pm, Diane Arney’s home. $10 suggested donation, CDs $10 each. David Kaynor & Betsy Branch have been playing and jamming together since they met in Seattle in the late ’90s. Over the years, they have fallen in love with each other’s fiddling, and bring out the best in each other’s playing. 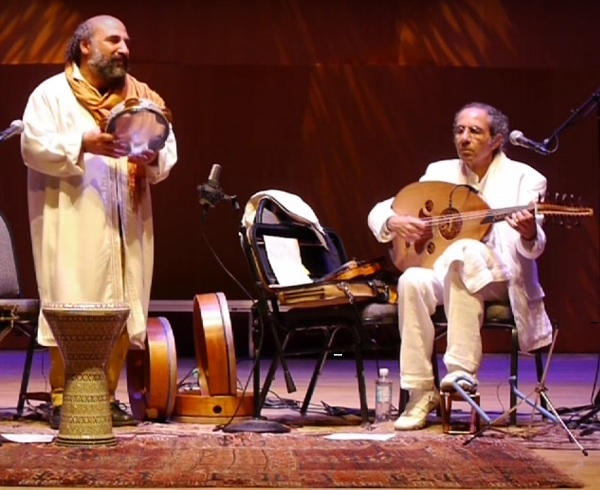 They weave a rich tapestry of melody, harmony, and backup, so that one forgets that there are no other backup instruments playing. Both David (of Montague, MA) and Betsy (of Portland, OR) are teachers at heart, welcoming in new fiddlers both through private teaching and through workshops. 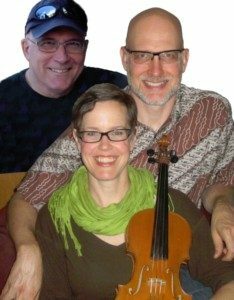 They are most at home in the contra dance hall, but can be frequently found at informal jams, where they delight listeners and fellow players with their inventiveness and groove. 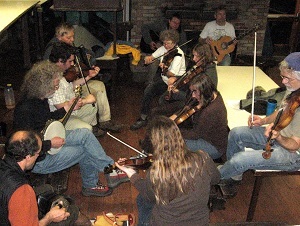 After rave reviews of a concert set at The Northwest Folklife Festival in 2009, they were inspired to record their twin fiddle CD, Midnight in Montague. The CD will be released in May of 2010. 8:00 pm, suggested $12 donation, Diane Arney’s home. Andrew and Noah VanNorstrand have been bringing their brand of high-energy contemporary acoustic music to concert halls, festival stages and dance floors across North America for several years. Both boys are accomplished singers, songwriters and multi-instrumentalists; focusing on twin fiddles, acoustic and electric guitars, mandolin and banjo. Their original music is a finely crafted blend of old-time Country and Bluegrass, Celtic and Contra, Swing and Jazz, alternative folk rock and various world music influences with equal emphasis on both daring improvisation and intricate arrangements Fans of modern folk artists such as Iron & Wine, Sufjan Stevens and Nickel Creek will love Andrew & Noah’s music. 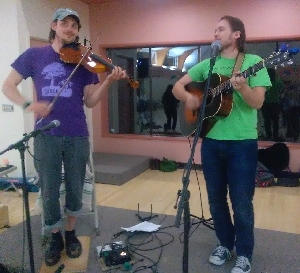 Andrew and Noah are two thirds of the wonderful, energetic, eclectic contra band “Great Bear Trio” who will be playing at Cascade Contras this weekend. Be sure to take this opportunity to see them in a whole new light (“hear them with a whole new ear”??) 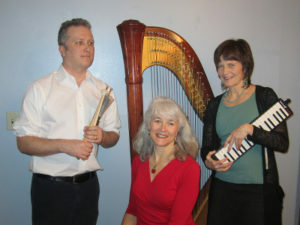 as they perform some of their delectable music in the intimate setting of a house concert. 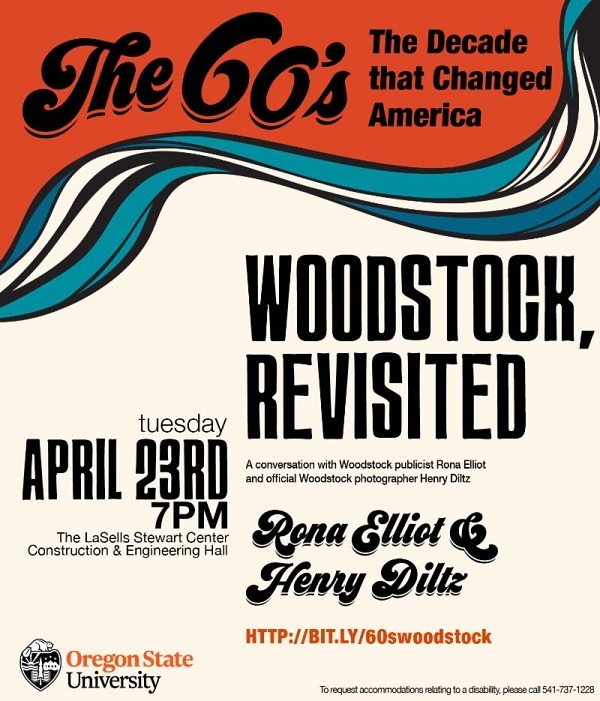 You can download and print a PDF poster for the concert. 7:00 pm, $10, Diane Arney’s house, (541) 753-0762 . 7:30 pm, $14, Diane Arney’s house, (541) 753-0762 . Gregor Borland, originally from Inverness, started playing fiddle at the age of 9 under the instruction of Donald Riddell. After many successes in fiddle competitions all over Scotland, he was given tuition by the now legendary Hector MacAndrew, who guided him on to win many more Scottish Championships. Working to keep alive the tradition of playing in the old style as handed down to him by Riddell and MacAndrew, Gregor released his first album “Bowstroke” in 2006. 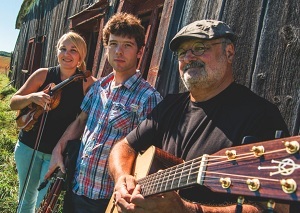 He has also recorded and toured with many bands and artists, including the Kathryn Tickell Band, Burach, Caledon (with Davie Steele), and Jim Malcolm (who recently visited Corvallis). Gregor now lives in Spain, where he started a traditional Scottish fiddling school. He has taught at music camps throughout Europe, New Zealand and the US, gives private lessons and judges at competitions, when not busy helping raise his two young children. 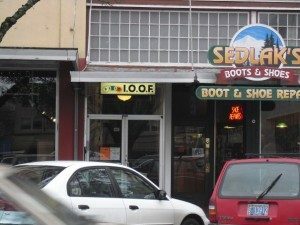 tickets $15, available in Corvallis at Grass Roots Books and Music (227 SW 2nd Street, Corvallis) or at the door (discounts available if needed). Contact Diane for more information, (541) 753-0762 . 7:30 pm $15 suggested donation. Diane Arney’s house, (541) 753-0762 . 4:00 pm $10-12 suggested donation. Diane Arney’s house, (541) 753-0762 . 7:30 pm, $10 suggested donation. Diane Arney’s house, (541) 753-0762 . Rita Hosking grew up in the mountains of Shasta county in northern California, and began composing songs at age 20. Her bluegrass-tinged, soulful tunes tell of springs, woddsheds, miners, old folks, and forest fires; her voice grips you and won’t let you go. With two CDs out and a third on the way, Rita won the Dave Carter Memorial Songwriting Contest at the 2008 Sisters Folk Festival. She’ll be accompanied on banjo and dobro by her husband, Sean Feder. You can catch her live phone-in interview on Saturday Cafe on KLCC, January 10, 4-6 pm, or check out her wbsite. 7:00 pm $15, Diane Arney’s house, (541) 753-0762 . Vermont based fiddler and folk singer Lissa Schneckenburger announces Northwest tour dates to support the release of her new album, Song.